Stress manifests in anger. Anger can manifest in violence. 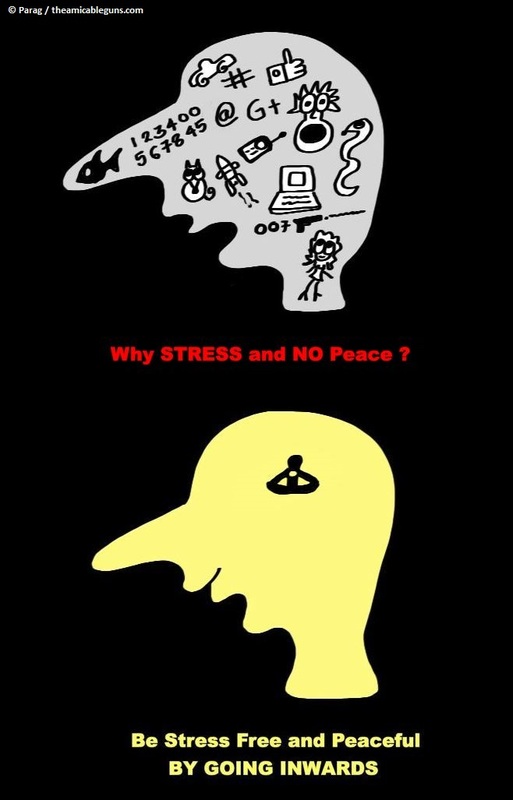 By finding the inner peace, one is able to control one’s anger and become stress free and violence free. Meditations taught by the Art of Living foundation (started by H H Sri Sri Ravi Shankar) help us go inwards and achieve the required inner peace. In an attempt to reduce stress and violence, Sri Sri Ravi Shankar is launching a campaign in Bay Area (http://stressfreeviolencefree.org/). 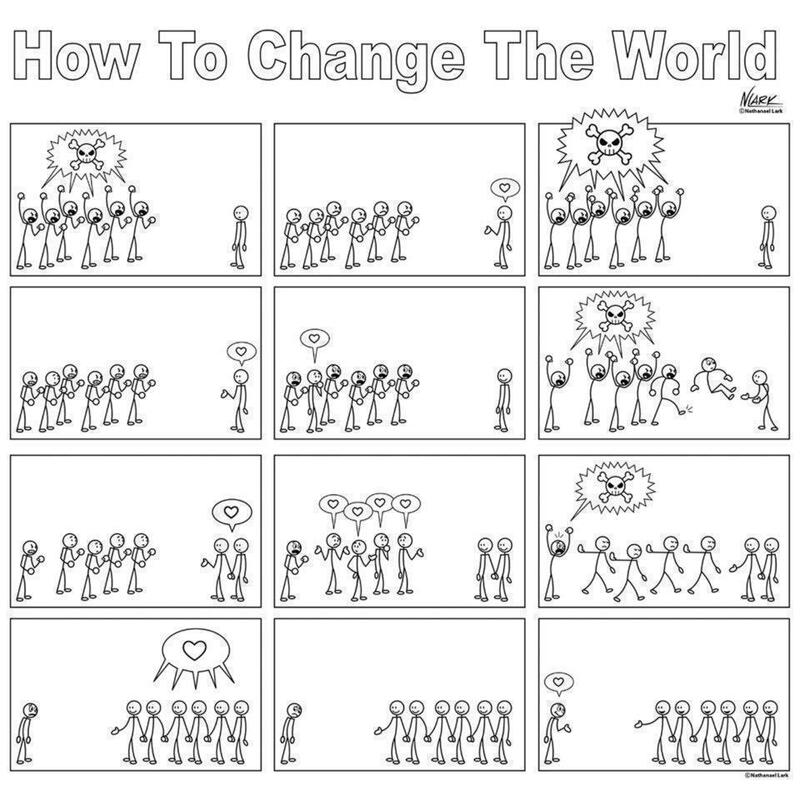 Don’t be caught in your violent nature, your nature is love, join the campaign and spread the message of peace. With our paced life, we are caught up in day to day activities. We have to check the social pages like facebook, Google plus or tweet someone. So many phone calls to attend. Look for our favorite TV shows or listen to radio shows. Drive through the busy traffic, go to work and come back. Or perhaps find a more entertaining commute like train or an hour long bus. Deal with folks at work and the ever moving targets. People getting ahead of us, or we are trying to get ahead of people. Stock markets, investments, loans, mortgage and the list goes on and on. So much has happened in our past and the expectation of having happiness, power, security and lot of money keeps growing in the present moment. As a result, our mind keeps struggling and building a wave of emotions. With such a confused state of mind, one cannot be at rest. So stress builds and we want a way out of all this. 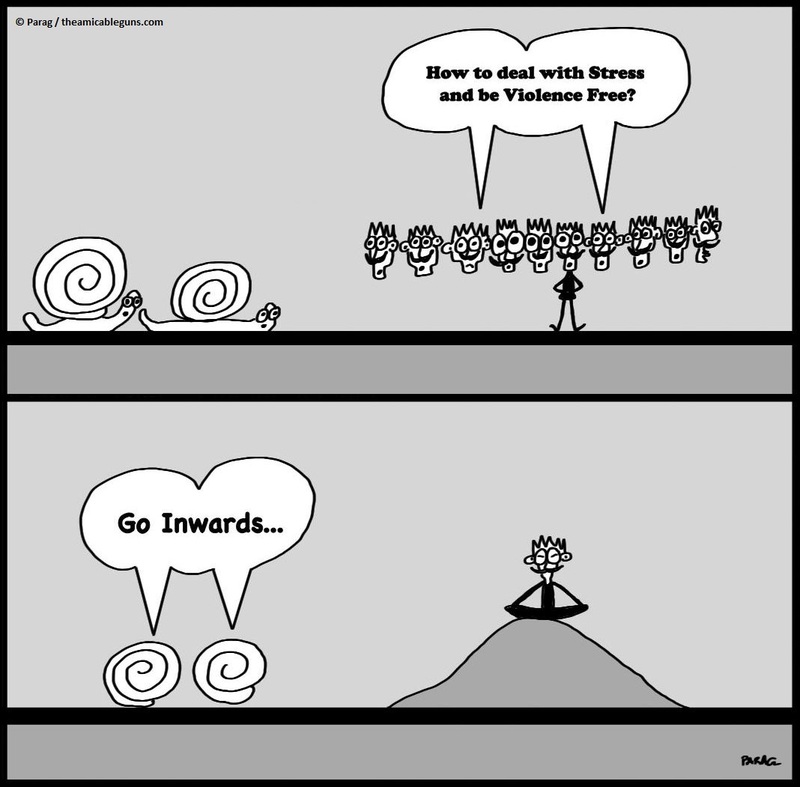 This can be achieved by finding inner peace which starts by going inwards. The meditation techniques taught by Art of Living foundation (started by Sri Sri Ravi Shankar) have helped me to connect with myself and be at peace. This has helped me to deal with my day to day actitivities. At peace, I am not angry and can conduct myself in tough situations. Also, anyone at peace is less likely to get violent in nature. 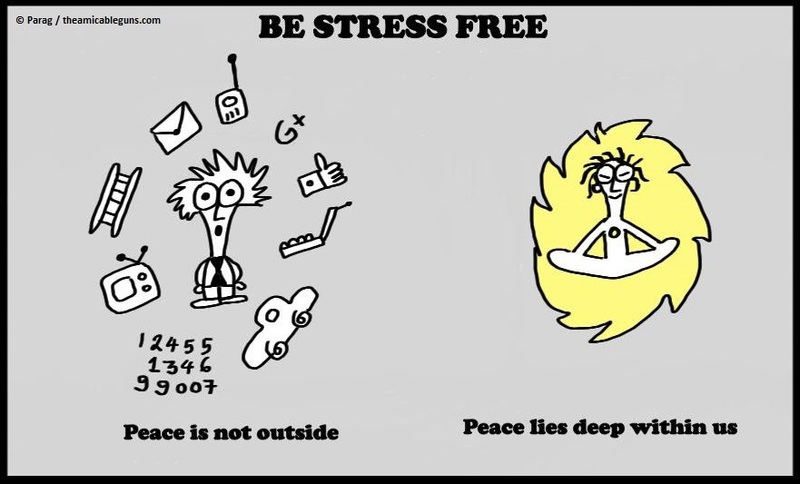 Therefore, being stress free helps us to be violence free as well. Being able to apply this idea to the society will generate a wave of peace and happiness, and lesser violence cases. Times are changing, Why should we be left behind? The ocean of life offers us many challenges. Challenges look big when we think they are difficult. Anything that looks difficult grows a negative thought in our mind which makes the challenge more difficult. Also, this induction of negativity makes us feel low and depressed. In order to overcome such situations one has to stay calm and quiet with a clear mind. The meditations taught by the Art of Living foundation (started by H H Sri Sri Ravi Shankar) have given me the clarity of mind and the ability to be in the present moment. As a result, whenever life is hit by challenges, I see them as opportunities and deal with them with a positive outlook. 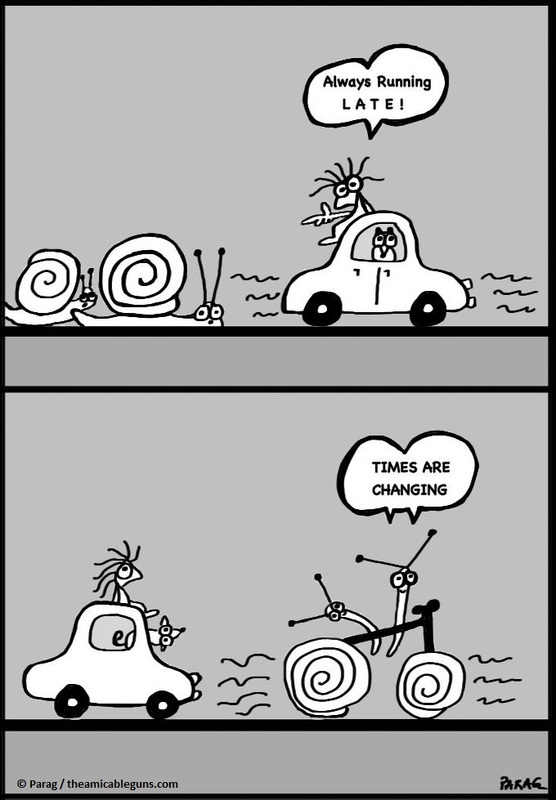 Sometimes, I imagine myself like an earthworm being given the ability to go faster and change the trend.